When anyone thinks of classic medieval archery, the traditional longbow is generally what comes to mind. And for good reason, as the longbow practically dominated the arena of ranged warfare for several hundred years! Here at Medieval Archery, we offer a number of fantastic longbows, all hand made from the finest of woods, in a variety of different styles. 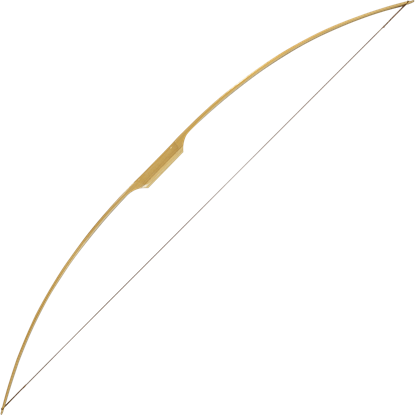 Several of our longbow designs hail from different cultures not only from the medieval world of antiquity, but also from cultures that have spanned this world and others. 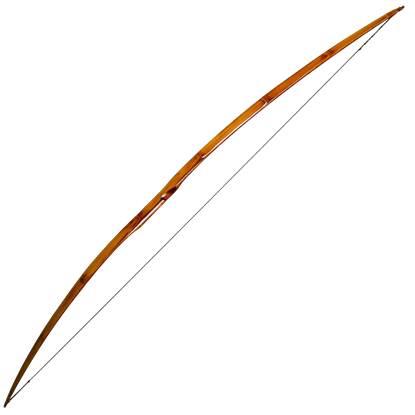 We have English longbows that would look right at home in the hands of an archer during the Hundred Years War, just as we have bows that would fit perfectly into the hands of rangers and elves from a fantasy setting! And since they are all fully functional, you can put them all to a wide variety of uses! 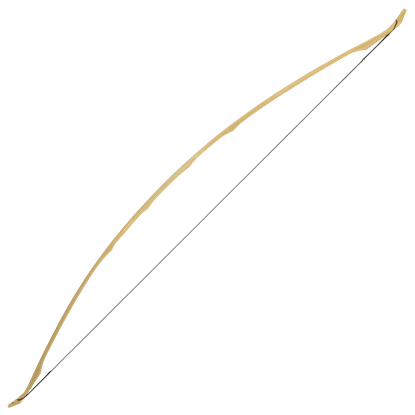 Any one of the bows found in this section makes for a perfect target bow to practice archery with, a tournament bow to compete with, or a reenactment bow to use at your local fair or event. For the classic archer who wants that old world experience, nothing beats a traditional longbow. And that is why here at Medieval Archery, we pride ourselves on offering one of the best selections of longbows possible. 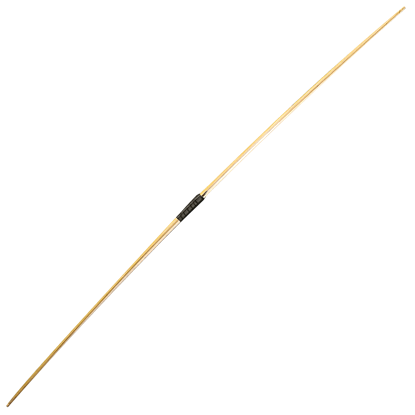 The Bamboo Backed Hickory Flatbow is renowned for its toughness and resilience. Strong and steady, in the hands of an expert this bow puts arrows on-target, making it THE bow to reach for when reliability is a must. Just because an archer is young does not mean that they have to settle for a sub-par bow. This Rustic Youth Longbow with Leather Wrapped Handle offers a mix of detailing and functionality, making it one bow that any archer would enjoy. Large is a good way to describe this Solid Hickory Medieval Siege Warbow. From the grip to the limbs, it offers an intimidating look, and it does not lack for function either - it can easily send an arrow hurtling down-range at-speed. It is fair to say that there is more to the Triple Laminated Hickory Backed English Longbow than meets the eye. 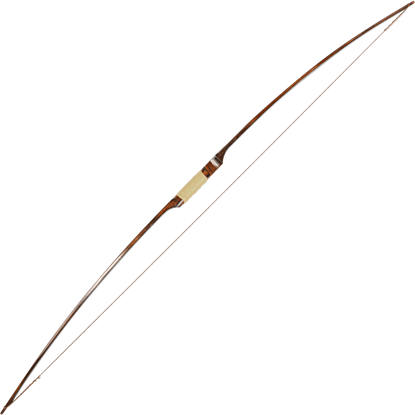 Of course, the bow offers plenty of visual appeal as well, so it is also fair to say that this bow is an archers dream. 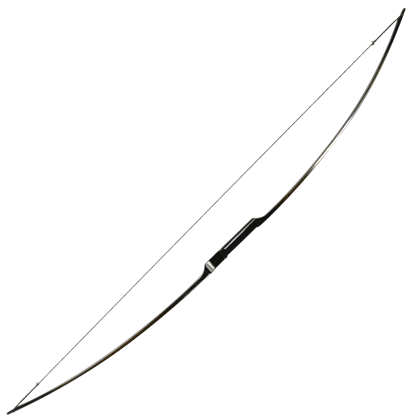 The legendary Wood Elf Longbow features slight recurve built onto the bow with an elven design that gives you a smooth draw as well as the accuracy of a traditional longbow. If you are a fan of fantasy elves, you simply have to own one of these! The rangers were the last men of the west and were destined to wander the land until the Return of the King. They were traditionally armed with both blades and bows. This Youth Ranger Bow recreates one such weapon for any young archer to wield.